TMJ/TMD (temporomandibular joint disorder) can make chewing, speaking and talking very uncomfortable. If your doctor suggested consulting a dentist about seeking TMJ/TMD treatment for your jaw pain, make an appointment with Dr. Shamblott today. Shamblott Family Dentistry offers a variety of treatment options in our state-of-the-art office. Convenient early morning, lunch hour and evening appointments are available. Do you experience any of the following symptoms linked to TMJ/TMD? Radiating pain in the face, jaw, or neck, often described as a dull ache in the jaw joint and nearby areas, including the ear, which comes and goes. Pain, particularly in the chewing muscles and/or jaw joint, is the most common TMJ/TMD symptom. Why Make an Appointment with Dr. Shamblott? Some dental problems such as cavities, infections, cracked teeth and wisdom teeth can cause pain similar to TMJ. It is important for Dr. Shamblott to examine your teeth, gums and jaws to make sure nothing else is causing your jaw pain. If Dr. Shamblott finds such dental problems, he can treat them in a follow up visit. Listen to and feel your jaw when you open and close your mouth. Observe the range of motion in your jaw. Check for conditions such as a high filling, teeth displaced due to earlier loss of other teeth or certain inherited characteristics that can cause misalignment of your jaw. Examine your teeth for wear patterns that would indicate chronic grinding. Press on areas around your jaw to identify sites of pain or discomfort. There are several treatment options for TMJ/TMD available at Shamblott Family Dentistry. If Dr. Shamblott finds a problem such as a cavity during your initial visit, he can treat it during a follow-up visit. He may also recommend one of the following treatments for TMJ/TMD. 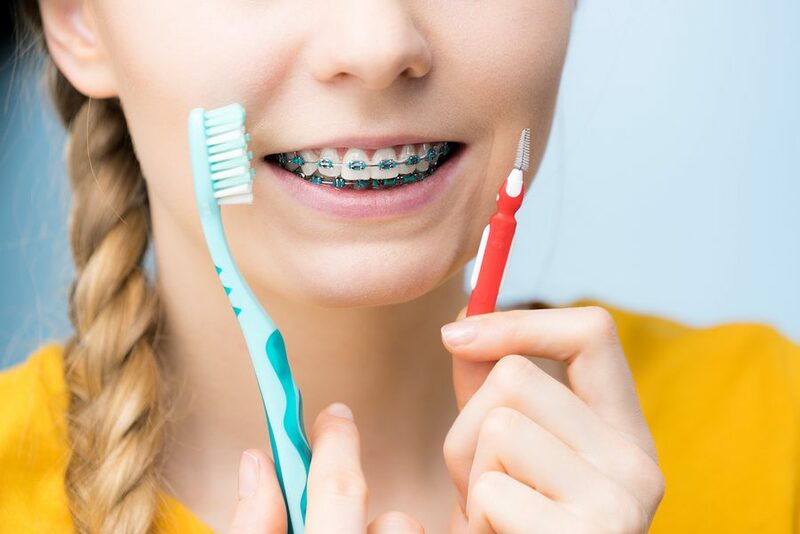 Mouth Guards: A bite guard or mouth guard is a device that fits over your teeth and protects them if you bite, clench or grind your teeth in your sleep, a condition called bruxism. A mouth guard prevents your teeth from meshing together. Bite guards and mouth guards sometimes aggravate sleep apnea symptoms, so if you suffer from sleep apnea please tell Dr. Shamblott. Mouth guards are the most widely used treatment for TMJ/TMD. A mouth guard prevents further aggravation to the joint. Corrective Dental Treatment: Sometimes pain is caused by your teeth not meeting correctly when you close your mouth. Chewing, biting and other activities put additional stress on the joint, causing pain and inflammation of the surrounding tissues. The goal of corrective dental treatment is to balance the biting surfaces of the teeth. You can reduce TMJ/TMD pain by using some simple home remedies. Moist heat. Use a hot water bottle or a heated washcloth wrapped in a towel. Be careful not to burn yourself or apply heat directly to the skin. Ice packs can decrease inflammation and also numb pain and promote healing. Do not place an ice pack directly on your skin. Keep the pack wrapped in a clean cloth while you are using it. Do not use an ice pack for more than 20 minutes. Call Dr. Shamblott’s dentistry office at (952) 935-5599 to make an appointment today with Dr. Shamblott. Experience relief fromTMJ/TMD symptoms; from correcting dental problems to fitting you with a mouth guard, treatment is available and relief is right around the corner.